ROCKY MOUNTAIN AUDIO FEST, DENVER, CO, OCTOBER 4, 2018 — NAD Electronics, a leading manufacturer of premium home audio and video products, announced a feature-packed HybridDigital DAC/Amplifier showcasing many of the company’s advanced audio technologies. Designed to appeal to the most ardent hi-res digital and vinyl enthusiasts, the D 3045 has it all: HybridDigital 60W per channel amplifier, Asynchronous USB 24/192 Input, support for MQA and DSD, two way Bluetooth powered by aptX HD and a high quality moving magnet phono stage, all in a compact size that can be used either vertically or horizontally. The D 3045 is available this month at $699 U.S. MSRP. The NAD D 3045 is everything a modern amplifier ought to be; compact, energy efficient, powerful, silent, high-resolution enabled and packed with cutting-edge features like DSD and MQA playback. NAD’s expertise in both digital and analogue engineering is clearly evident in this high performance, flexible yet affordable amplifier. Featuring a 2 x 60W per channel HybridDigital amplifier in a small form factor, the D 3045 will astound many for its ability to drive difficult loudspeakers to satisfying levels without adding noise or distortion. Calling on NAD’s decades of leadership in Hi-Res digital audio, the D 3045 boasts exceptional connectivity including an Asynchronous USB 24/192 Input. The D 3045 supports both MQA and DSD playback. MQA decoding is available on all digital inputs in addition to BluOS streaming content. The D 3045 can faithfully and accurately reproduce the full spectrum of sound encapsulated on the studio master. Until now, music-loving consumers have only been able to hear an edited version of the full fidelity because the delivery systems, be it tape, vinyl, or CD, did not have the capacity to hold all the information contained in the studio master recording. With hi-res downloads and streaming, we can now enjoy exactly the same experience the artist heard in the studio when the recording was first made. Yet, 90% of the products on the market today do not have the full capability required to experience this new higher fidelity. The D 3045 features two-way wireless Bluetooth capability that is powered by aptX HD for the highest possible sound quality available. Users can easily stream music from smartphones, tablets and laptops or can also use its integrated two-way Bluetooth feature and effortlessly stream music that is playing on the amp to any pair of Bluetooth enabled headphones. aptX HD is becoming more and more popular for its remarkable sound quality and low power consumption compared to Wi-Fi. Drawing on their decades of analogue know-how, vinyl lovers will be impressed that NAD engineers designed the phono stage for exceptional performance, featuring accurate RIAA equalization, ultra-low noise and an infrasonic warp filter. The D 3045 accommodates inputs for the computer along with other digital and analogue sources, including the newly added MM phono input. 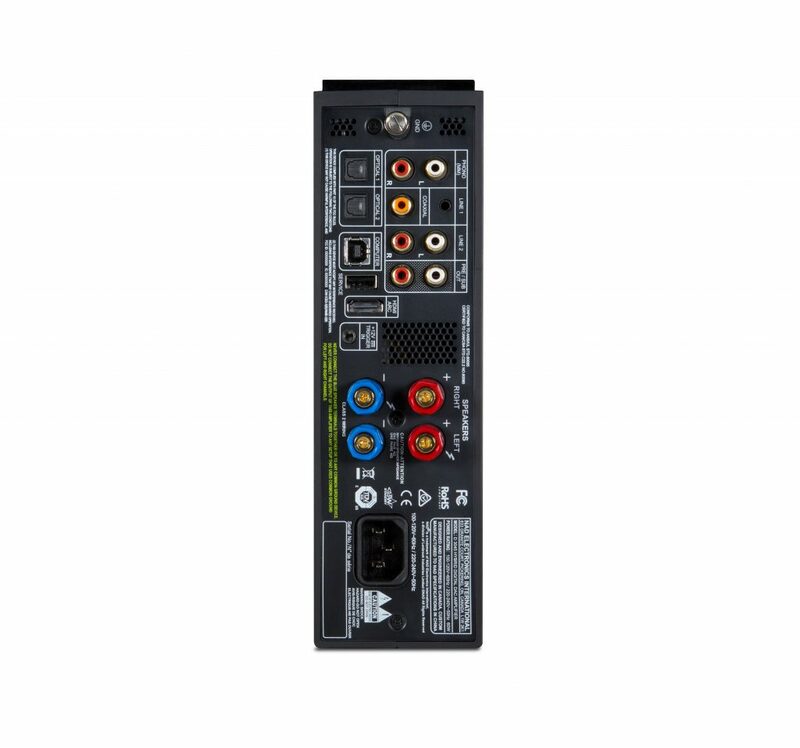 Coaxial and optical inputs allow many different digital sources to be connected, from CD and DVD disc players to media streamers like Apple TV or satellite and cable receivers. There are also analogue inputs for iPods and older non-digital audio components such as FM tuners. Also included in the D 3045 is a full-range preamp output as well as a subwoofer output for added connection flexibility. 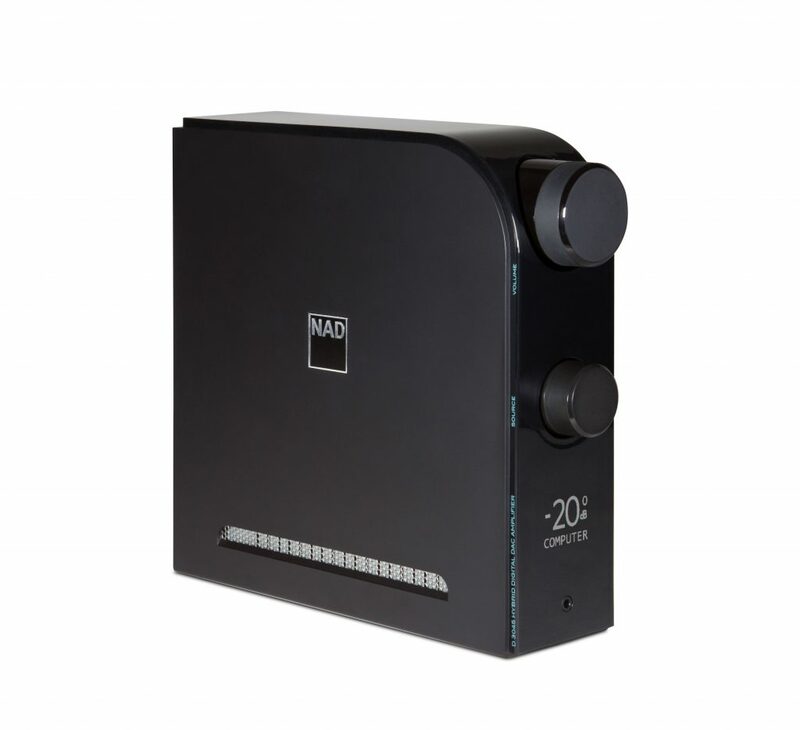 NAD also includes a premium quality headphone jack on the front panel that is connected to a dedicated, high current, low impedance headphone amplifier that will drive all but the most power hungry headphones, including planar magnetic designs. Beyond impressive performance, a major focus for NAD has been finding new technology that can improve musical performance while consuming less power to operate and using fewer non-renewable resources to manufacture. The D 3045 is compact, environmentally sensitive and runs cool. NAD believes technical prowess and eco-friendliness is not only desirable but achievable. Its highly efficient design wastes less energy, resulting in extended component life an increased reliability. Standby power consumption is <0.5W. Supplied with an IR Remote Control for convenience, the D 3045 can be used vertically or horizontally. Its compact footprint is equally at home on a desktop, a bookshelf or cabinet to complement any lifestyle. RMAF attendees will be treated to a unique event and be among the first in the world to listen to the D 3045. In partnership with MQA, visitors to room 8021 in the Tower on Saturday, October 6, 2018, at 10:30 AM Mountain Time, can listen to a performance by accomplished jazz band Misha Mullov-Abbado, who are broadcasting live, and encoded into MQA in real-time, from RAK Studios in London, UK.